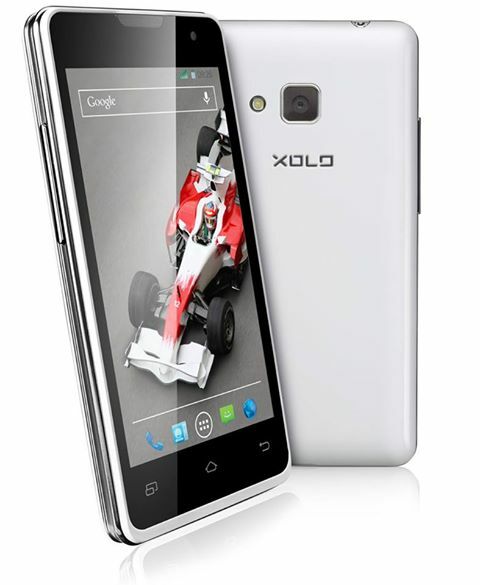 Xolo has just announced its new addition to the big family of Android-powered smartphones – Q500. The handset comes with an attractive design and small-sized panel that can fit easily in small pockets and purses. The phone measures 118.5 x 63 x 10.7mm. Xolo Q500 is equipped with a 4-inches display with a WVGA resolution. The pixel density of the model is the modest 233ppi. Under the hood of the phone is ticking a 1.2GHz processor with Snapdragon S4 Play chip. It is paired with 1GB RAM. The graphics are managed by the Adreno 203 GPU. Xolo Q500 is provided with only 4GB built-in memory. Fortunately there is a microSD slot for adding up to 32GB. This is especially important keeping in mind that the phone supports dual-SIM possibility. The operating system that is powering the device is Android 4.1 Jelly Bean. Its main camera is a 5MP rare shooter that can capture 720p video. There is a VGA camera on the front panel for video calls. In terms of connectivity, Q500 supports Wi-Fi, Bluetooth, 3G with HSPA and A-GPS. Among the extra features in the phone are FM radio and extraordinary capabilities of the app X-TransPic. For example, users can snap a photo with Hindi text. It will be translated instantly in English. There is a feature in the app that can make the phone read the translation out loud for you. Xolo Q500 is powered by a battery with capacity of 1450mAh. The phone is already launched in India. It costs INR 7999 (equal to $130). There is still no information whether and where the company will introduce the handset to other markets. Xolo Q500 is equipped with mid-range specs and will satisfy the needs of modern mobile users that are looking for an affordable Android-running smartphone. The 4-inches display is relatively small compared to the phablets with 5+ inches screens that are flooding t he mobile world. How do you like the concept for Xolo Q500?